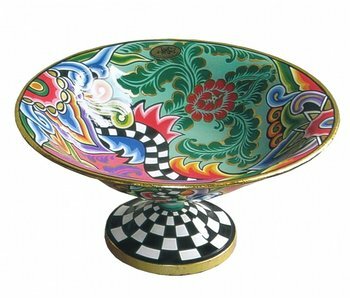 Beautiful hand painted decorative bowl on foot. The shell is made of metal. Diameter 35 cm, height 17 cm.